Well, the first ride of 2017 went off without a hitch. People say that all the time, but what does that actually mean? I assume you don't want a hitch in your thing, or like a hitch in your gitty. Or maybe you do? Anyways, we had a good ride to open the year. Our theme was a hat party. Some 30 riders collected at Eich's in various hats. We stuck to our shorter winter ride theme as well. Roads were slick...but not as slick as the previous month's ride. It was damn cold...but not as cold as the previous month's ride. We ended at the The Hound. It was toasty warm. We gazed at the bright and bold Full Moon. We drank cold beers and laminated the fact the during the winter it is always nice to see the same core riders. You know who you are, the ones that brave the rides regardless of the weather. The ones that say to hell with my social calendar, this is FBC night and I am riding. The ones that dress for the theme, no matter how stupid it may seem. I could insert some lame bike joke here about how you are the grease in the hub, or the chain that drives...but I will just say thanks. Reminder: Thursday, February 9 will be our Birthday Ride (5 years) and it will be HUGE. Here it is a new year. I know a lot of people felt like 2016 was a tough one. A real kick in the balls if you will. 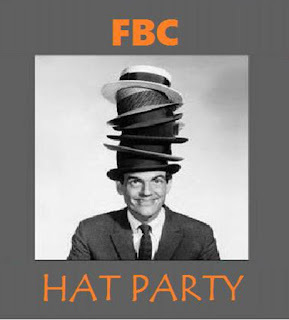 Well, we here at FBC Sandpoint HQ are here to help you over the hump. May we suggest you think about riding your bike more for 2017? Maybe make a goal to go on every Full Moon ride? Maybe go on every Full Moon ride and participate in the theme? Whatever the needed motivation, just get on your bike more. Now will this solve all your problems? Absolutely not. Will it help you in dealing with your problems and seeing things a little differently? Absolutely yes. We here at FBC Sandpoint HQ guarantee it. So, here you go. Here is you first opportunity for 2017. So, theme. Simply, hats. Yes, this ride almost falls on the national celebration of hats. Hats are good for many things like: displaying your feather collection, keeping your head warm, hiding a bald head, adding style to your wardrobe, keeping your head dry, masking your identity, covering a bad dye job, hiding a rabbit, holding beer cans...and many, many more. 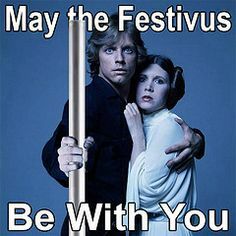 The last ride of the year was our Festivus themed ride. 30 some riders braved the fridged temps and icy road conditions to make it to Eichardt's. Given the road conditions, an attempt was made to plan a route that would cover the best roads we could find...there were NONE. All the roads in Sandpoint were hard packed/icy. Most people had fat bikes or studded tires, and they did fine. A couple people without either, went down but were unscathed. We did a short loop and took in some of the houses in South Sand that went all out with their holiday decorations. It was a beautiful night. We arrived at Loaf and Ladle. We have never been there before. A huge thanks to Marsha and the rest of the staff for being gracious and patient with the large group...after their regular business hours. Most everyone brought a gift for the exchange, and we placed them under our FBC Sandpoint Festivus tree. We all opened them at once and there was great joy and celebration with the many thoughtful and thoughtless gifts. Holiday cheer was consumed, and some bad decisions were made...much like your office holiday party...luckily no one seems to remember.